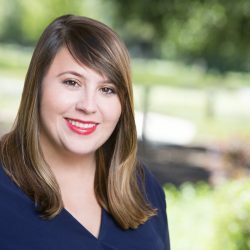 Mary Flannelly joined the William and Flora Hewlett Foundation in 2014 as a Program Associate in Environment and works on grantmaking in climate change, clean energy and transportation. Previously, she was at GRID Alternatives, a nonprofit solar installer that aims to make renewable energy and solar job training accessible to underserved communities. While pursuing her master’s degree, she worked with a team of graduate students to analyze the climate change mitigation strategies and sustainability agendas of major U.S. cities for the New York City Mayor’s Office of Long-term Planning and Sustainability. She helped to develop an implementation plan for tracking waste from high-volume hydraulic fracturing in New York State. She has also worked in community organizing and crowdfunding for environmental projects. Mary has a bachelor’s degree in environmental analysis and policy from Boston University and a master’s of public administration in environmental science and policy from Columbia University’s School of International and Public Affairs.